Your airship is coming apart at the seams. You need to do something to keep it all together. Go grab your blowtorch, and your welding gear because you need to start fixing it now. If you don't get it fixed now the whole ship will go down. Everything you have built gone forever. All the people, the ones who are so loyal to you, will have no home, no job. You better get to work. But crud, where are your welding goggles? Oh, that's right, your last pair broke in the last storm. 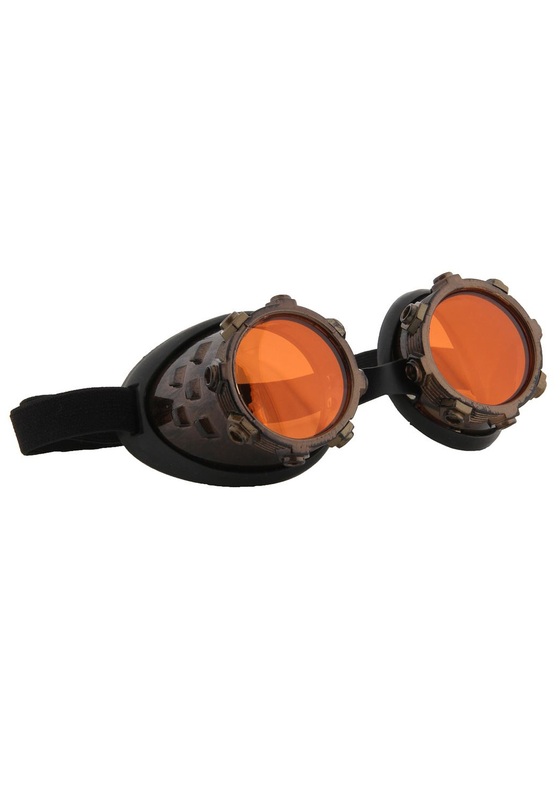 Well, we have these Cyber Steam goggles to replace your old pair. They will protect your eyes from the brightness of the blow torch. And they will let you get on with fixing your ship. When you are all done, just put them on a top hat so they don't get lost, or broken again.